Dr Tom Gittings has been trading as an independent ecological consultant since 2001. He has over 18 years experience as a professional ecologist and is a full member of the Chartered Institute of Ecology and Environmental Management. Tom completed his PhD in Entomology in 1994. From 1995-2001 Tom worked for the RPS Group environmental consultancy, as an Ecological Consultant (1995-1998), Associate Ecologist/Office Manager (1998-2000) and Technical Director (2000-2001). 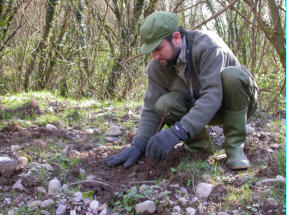 From 2001-2009, Tom carried out research into forest and wetland biodiversity in University College Cork. During this period, Tom also developed a portfolio of independent consultancy work, and, since 2010, he has worked as a full-time independent consultant. 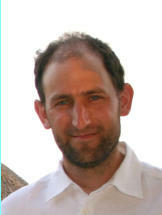 Tom has extensive experience in a wide range of ecological disciplines and applications. He has carried out numerous specialist ecological surveys and assessments as well as project managing large-scale Environmental and Ecological Impact Assessments. Since 2010, a major focus of his work has been carrying out research into waterbird interactions with aquaculture and shellfisheries and preparing Appropriate Assessments of coastal SPAs using the results of this research. Other major areas of his work in recent years have included bird surveys for windfarms and powerlines, large-scale habitat surveys, and specialist entomological and ornithological surveys. Tom also lectures on Appropriate Assessment, Environmental Impact Assessment, Bird Survey, Habitat Survey, Woodland Management, and Invertebrate Ecology to a number of courses in University College Cork and University College Dublin. Tom co-ordinates waterbird counts in Cork Harbour for the Irish Wetland Bird Survey (I-WeBS), is a member of the Biodiversity Working Group for the County Cork Biodiversity Action Plan and of the Coillte BAU7 Social & Environmental Panel, and is also involved in voluntary work for a number of local conservation projects.